After a few installments of fairly straightforward exposition and gripping apocalyptic drama, the captain is once again flashing the overhead “spoiler alert” as Jonathan Hickman turns over one of his major cards this week. Entitled “Rabum Alal”, the latest New Avengers spotlights Doctor Strange uncovering the identity of one of the mystery power-players in the upcoming Secret Wars. The captain is also advising that exposing the Great Oz, err.. Destroyer will lead to thorough gobsmackery for all and medium-grade digging into the back issue bins for those inclined. No joke- a life and death fight for the library! While the specific whys and wherefores of how this person became the god of the Black Swan coven are yet to be explained, there are dots to connect all the same. Sure, some will themselves into being by virtue of self-fulfilling prophecy, but fans of Hickman’s narrative since his acclaimed Fantastic Four/FF run will pick up on the breadcrumb trail. The captain also detects paradoxical time-travel as a potential story factor from here on out- so, those who go cross-eyed at the notion should be cautioned. However, a small dose of face value should help smooth the transition into Marvel’s new “everything’s on the table, just go with it” approach. 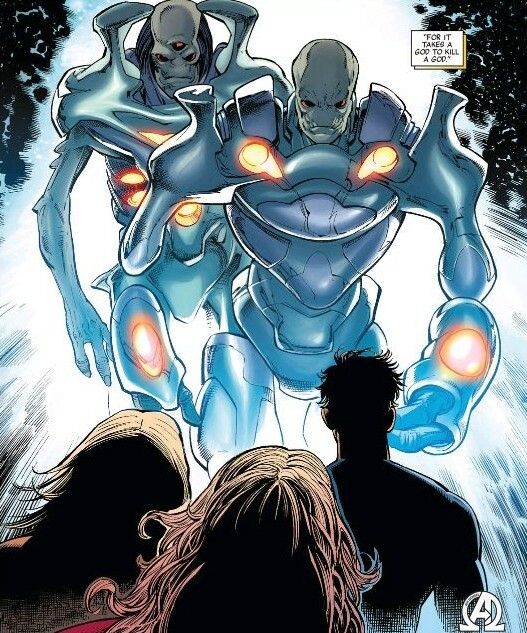 Although rather isolated from the main plot, this issue is all the same significant in updating the greater scorecard. While it systematically winnows down the support cast some, Hickman’s script also subtly checks off a few variables. As ominous as the conclusion is, it is not without its small saving grace knowing that certain free-roaming parties are now quantified. Sure that’s not the Eye of Acme ya got there, Doc? This one Wile E. Coyote-esque developmental lurch aside, the story mechanics move along with otherwise well-oiled precision. Artist Kev Walker offers rock-steady pacing, alternating a clockwork trade-off of one and two-page layouts along with one hell of a reveal splash! His war-weary on-the-road Odinson may be pushing the whole “super-beard” trend, though. Since last week’s Avengers, it’s a much tighter affair all around for the art department with perennial color artist Frank Martin also yielding particularly lush purples and greens. Curiously, inker Scott Hanna is named on the cover yet nowhere to be found on the credits page. It’s bittersweet that with the creators all firing simultaneously at such great caliber that the finale is just around the corner. The status quo since the “Eight Months Later” timeskip is rife with story material far greater than the terse snippets given; so it’s a shame we couldn’t smell the roses more. You know, before another Earth crashes into ours. Entering the final five issues before Secret Wars, Jonathan Hickman is expertly double-checking his work, crossing t’s and dotting i’s from throughout his multi-title saga. Loved the reveal. Perfect, seems totally believable in retrospect, yet I never saw it coming. I wonder what horrible experience Hickman had with Dr. Strange in his past. Did he get some really bad news while reading Strange Tales? Did a man in a red cape spit on his lawn? I was all set for some conquering Dr. Strange – finally – and then he goes and gets rocked *again*. Dr. 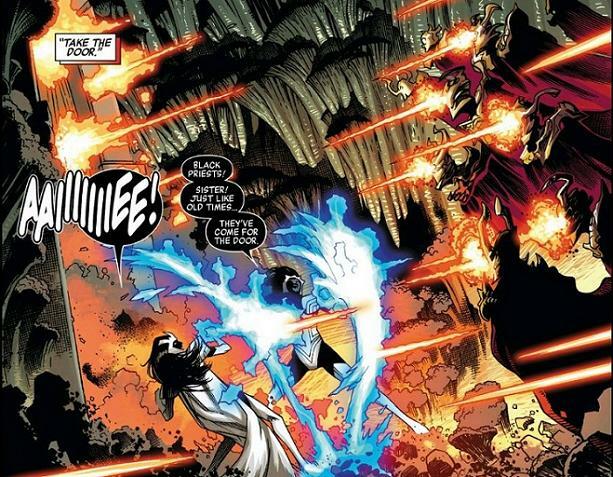 Strange has done nothing but gather awesome power, and then somehow still manage to lose. 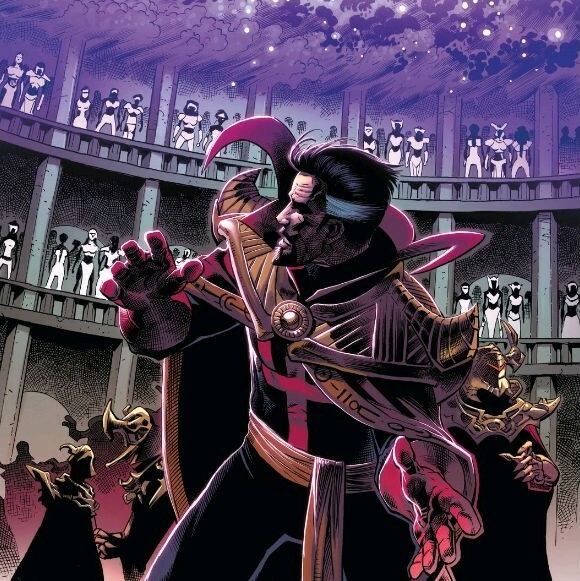 It’s a cautionary tale, but as a fan of the Sorcerer Supreme, I’m ready for him to have a moment in the sun (good thing there’s a movie approaching). Totally agree with the desire to see more of this Time Runs Out fill-in gaps. Although I wonder if those amazing single-panel moments (the Captain Britain corps, Franklin (which, still, what?! ), superior Iron Man in a cage) are actually better shrouded in mystery. I’m thinking Wolverine. He gets his memories back and suddenly Wolverine: Origins sounded a lot better in theory, when it was just a half-imagined dream. Since we’re almost certainly going to speed straight into Secret Wars without these details, I’m just going to pretend all of that is true. If this Avengers series ends with Kang, Dr. 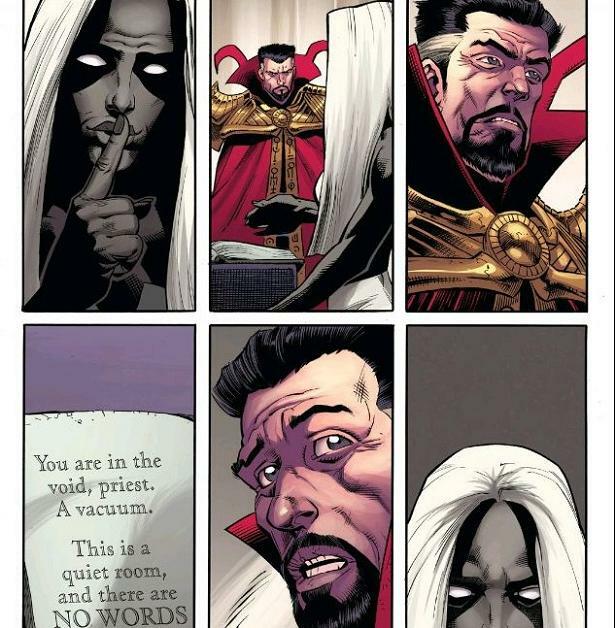 Strange, Doctor Doom, and PRINCE in a room, I’ll never question Marvel again.